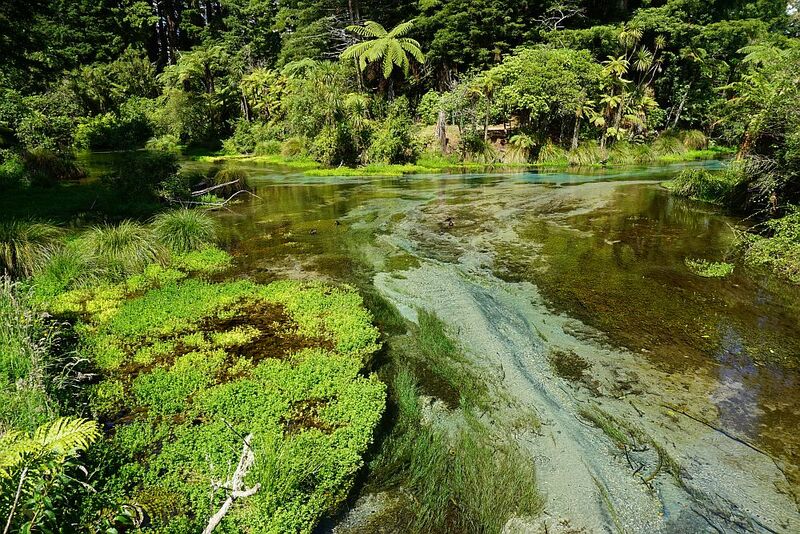 Hamurana Springs, at the northern shores of Lake Rotorua, consists of several springs producing a constant flow of cool, clear water which forms the Hamurana Stream and flowing directly into Lake Rotorua. 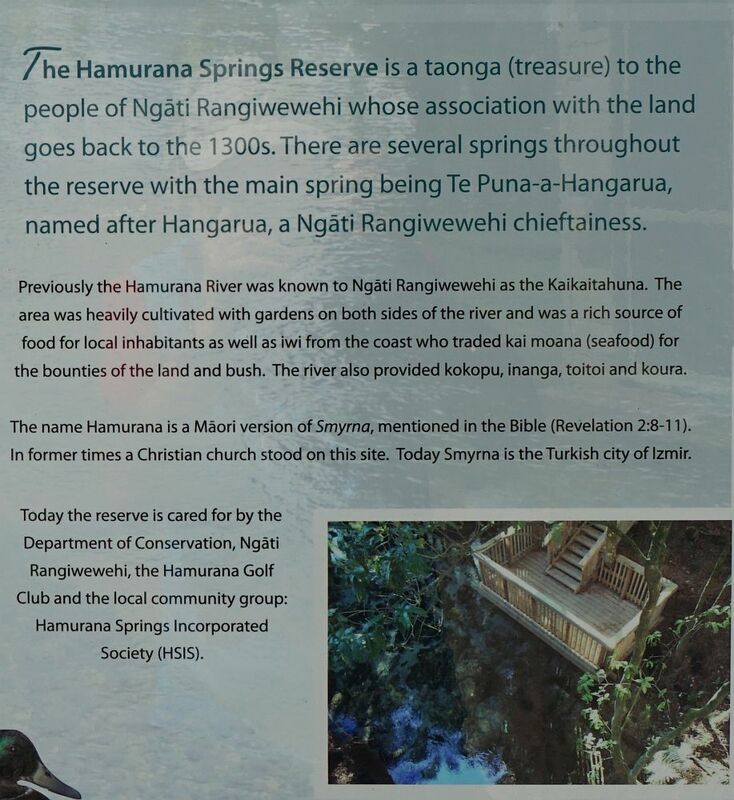 There is a very easy and short walkway around the springs in the Hamurana Springs Reserve, which is jointly managed by DoC, Ngati Rangiwewehi, the Hamurana Golf Club, and a local community group. The golf course is next to the reserve, alongside Hamurana Rd. There is a parking area off Hamurana Rd, giving access to the walkway. 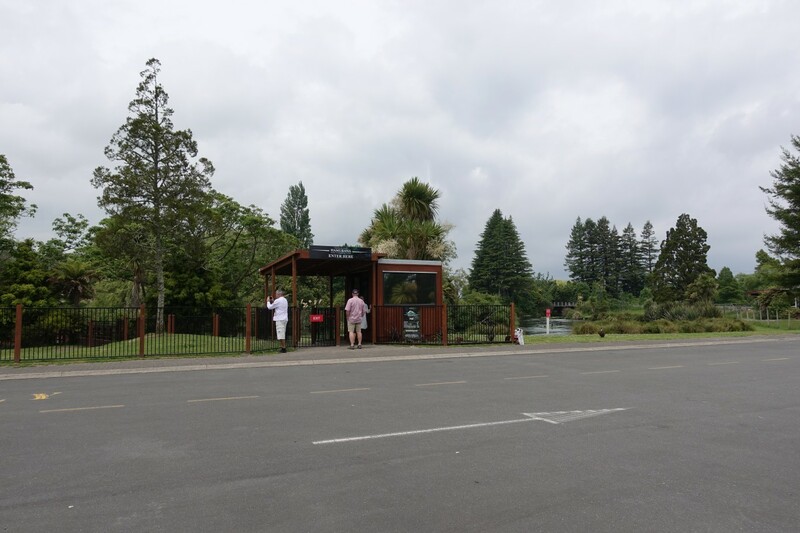 There are no toilet facilites at the carpark or in the reserve. More information can be found on the DoC web site. Note: November 26, 2017. 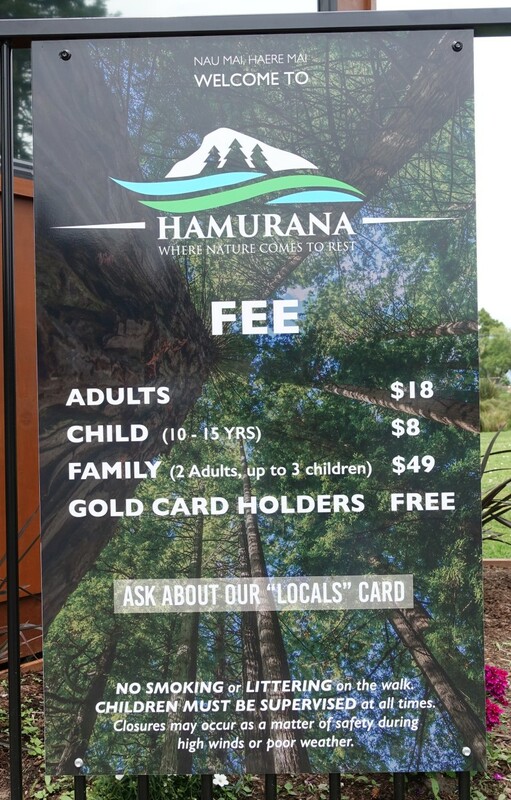 During 2017 a fee was introduced for entry to Hamurana Springs. The new entry to Hamurana Springs, adjacent to the parking area. The fee schedule as at November 25, 2017. 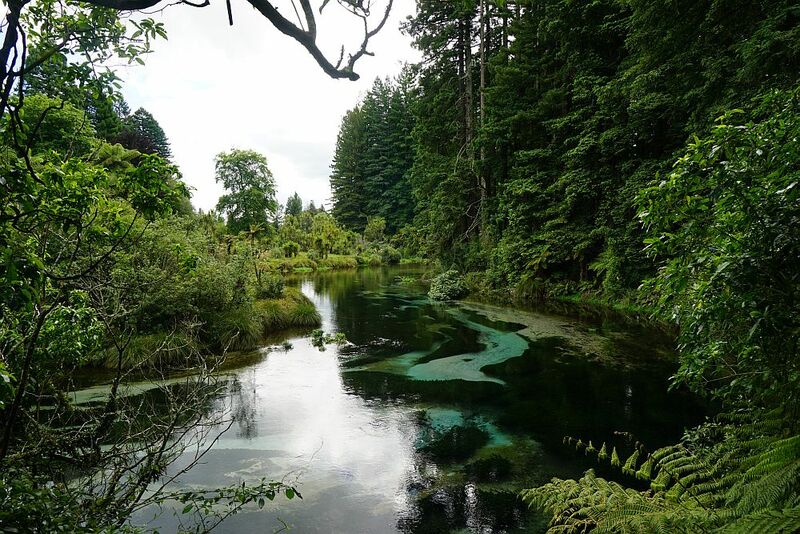 There is a track along either side of the Hamurana Stream, leading to the main spring. Each of them is about 770m long, making a total loop of about 1.5km. The track on the western side, the Riverside Loop Walk, runs alongside the stream and the golf course. 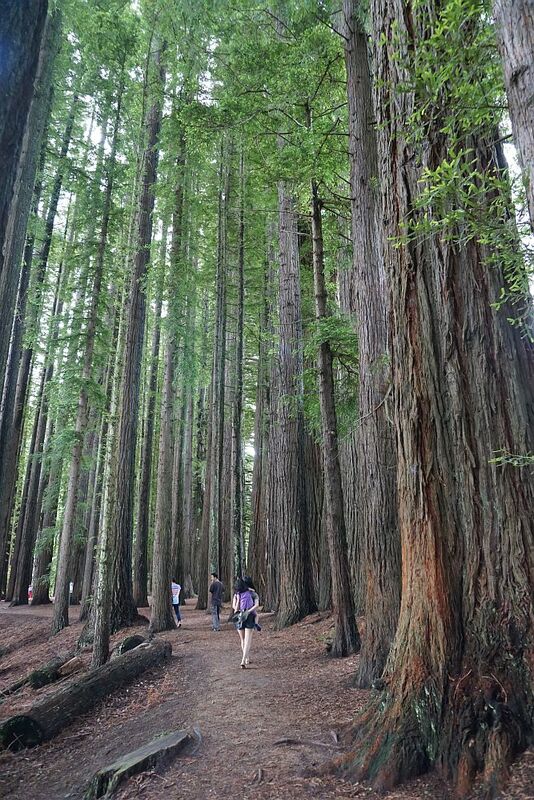 The track on the eastern side, the Redwood Grove Walk, runs through a grove of redwood trees planted in 1919. A third track, the Ynys Fraser Walkway, runs close to the Redwood Grove track on the eastern side of the stream. The two main tracks are well formed, with no steps and only gentle slopes, so would be suitable for wheelchairs. 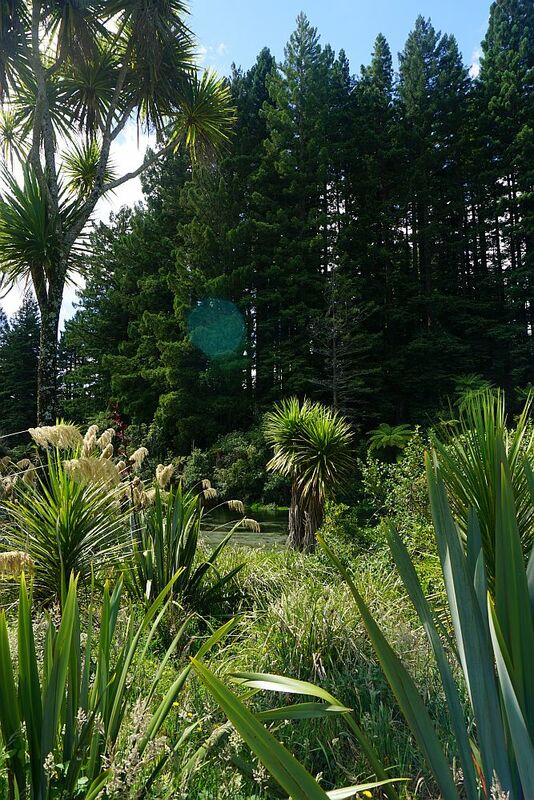 The Ynys Fraser walkway is not formed as a track, but passes between bushes and other plantings over a grass area, marked only with occasional posts. 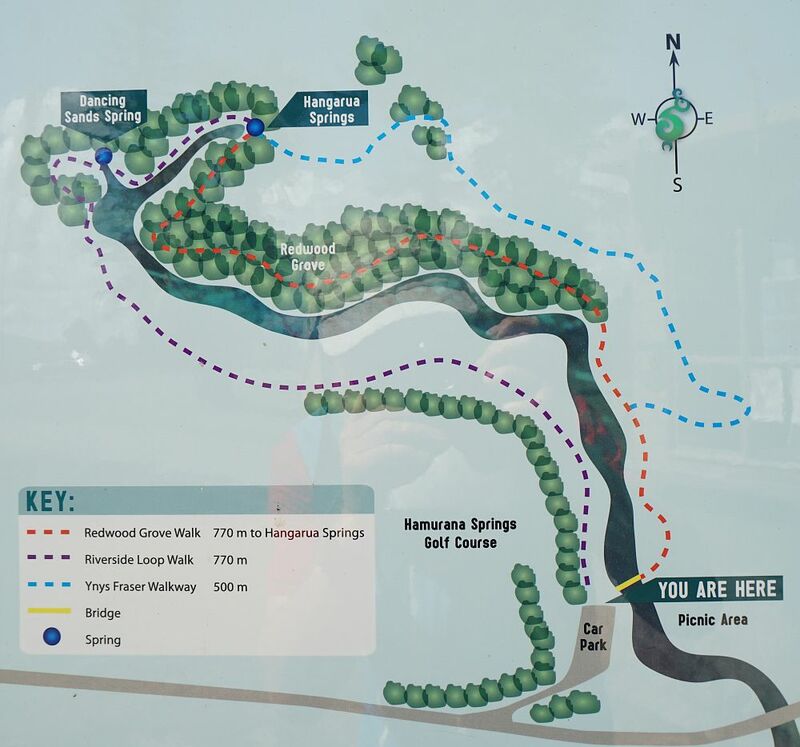 Information panels at the start of the tracks and alongside the track provide information about the area and the reserve. 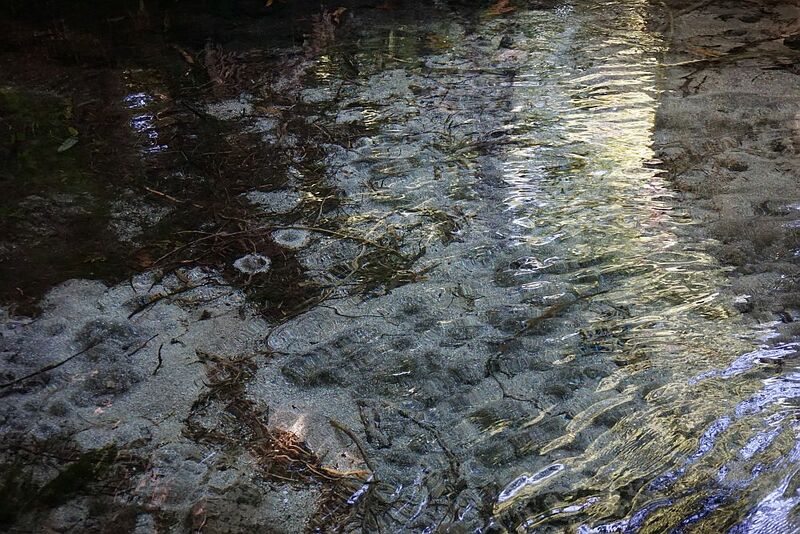 The water in the stream is very clear. Here seen near the start of the Redwood Grove Walk, at the southern end of the Ynys Fraser Walkway. The redwood grove, with trees almost 100 years old. The redwood grove, seen from the other side of the stream on the Riverside Loop Walk. 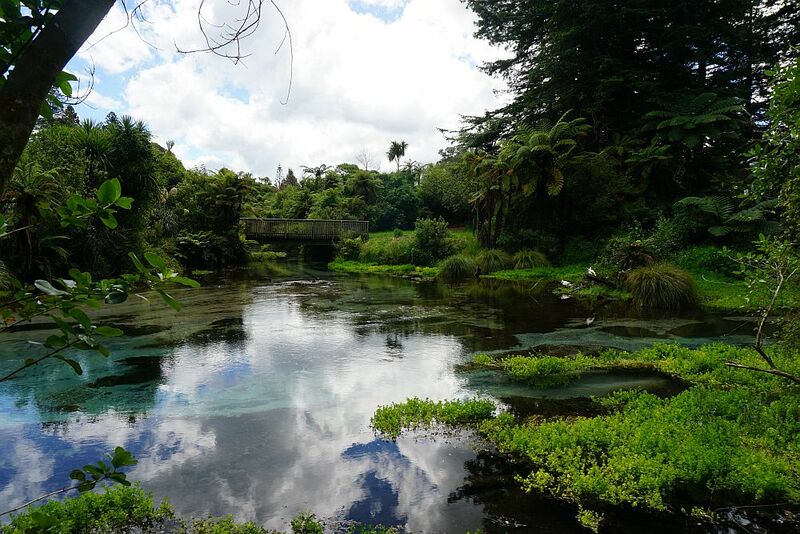 Views of the Hamurana Stream from the Redwood Grove walkway. 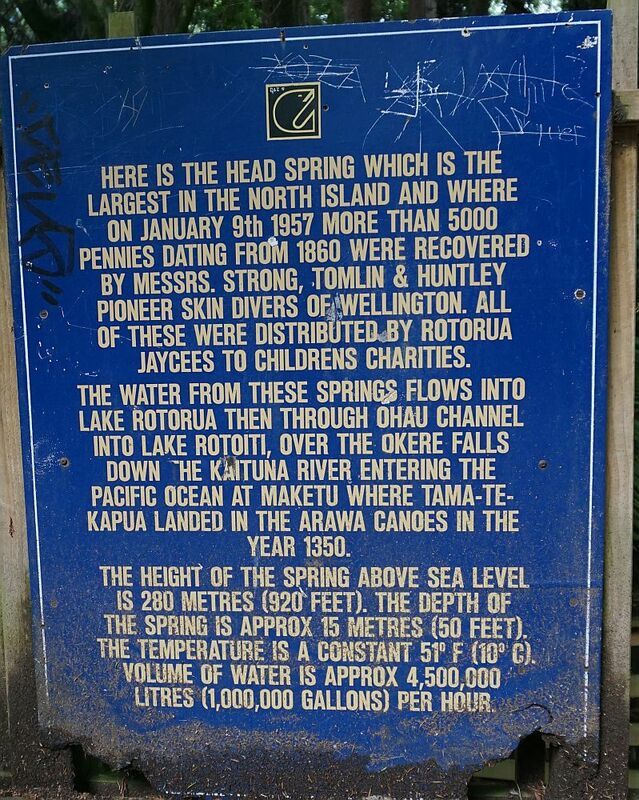 The head spring and the lower lookout,, seen from the upper lookout. 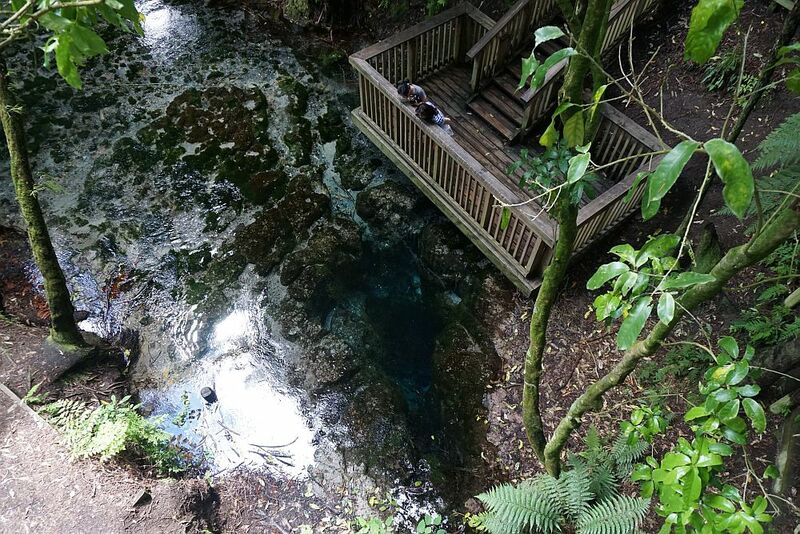 The head spring, seen from the lower lookout. 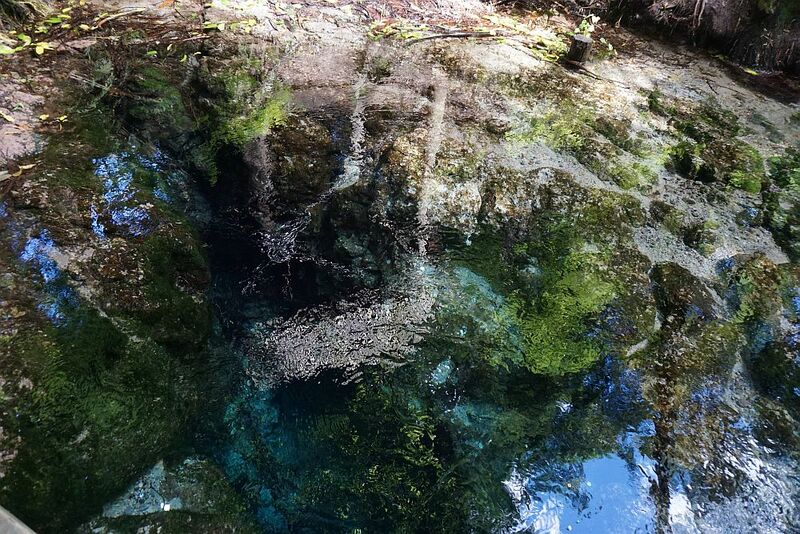 A reflection of the upper lookout can be seen where the water rises from the spring. 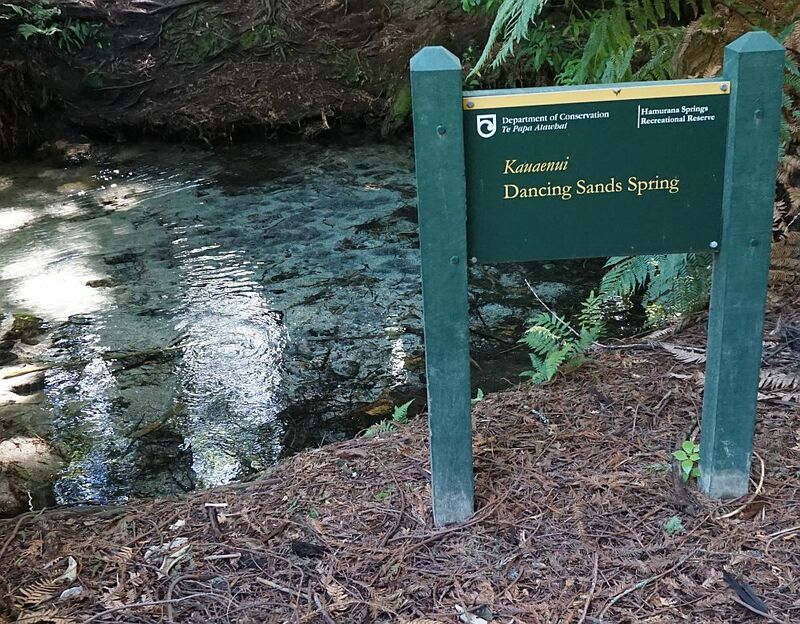 The Riverside Loop Walk passes by the Dancing Sands spring. The small darker clumps of sand that can be seen in the water are caused by water rising from the spring in numerous locations. The Dancing Sands Spring seen from the opposite side. Small rings of sand where the water rises can be seen within the vegetation. The stream seen from the Riverside Loop Walk, where one of the side streams flows into the main stream. The upper part of a smaller stream alongside the southern end of the Ynys Fraser Walkway is protected by a weir from invasion by trout, to protect the native fish called koaro. 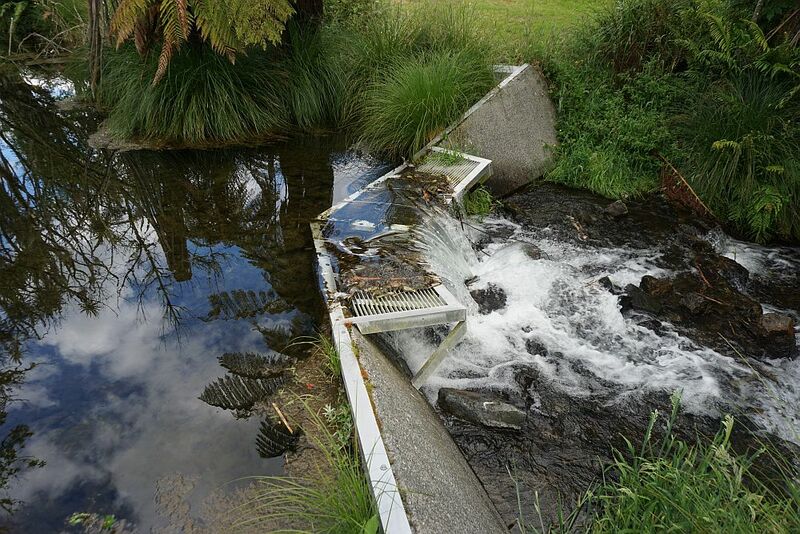 The koaro can scale the concrete weir, whereas trout are hindered from jumping by the metal grate and the shallow water below the weir. 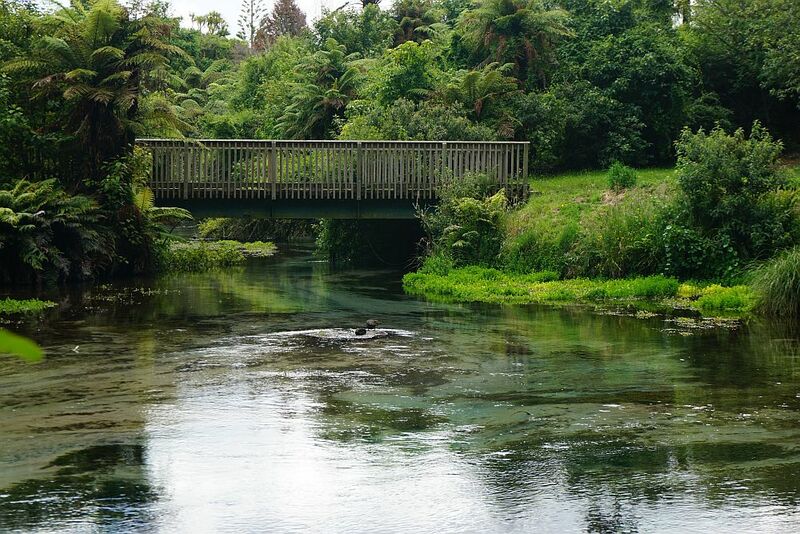 The Hamurana stream flows into Lake Rotorua, passing under the footbridge at the start of the Redwood Grove walk, and under Hamurana Road. 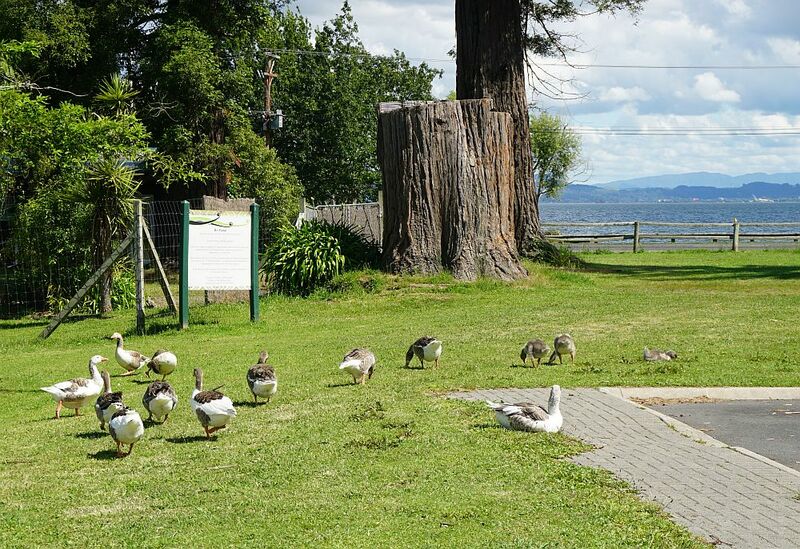 Geese are helping to keep the grass in check, by the parking area. 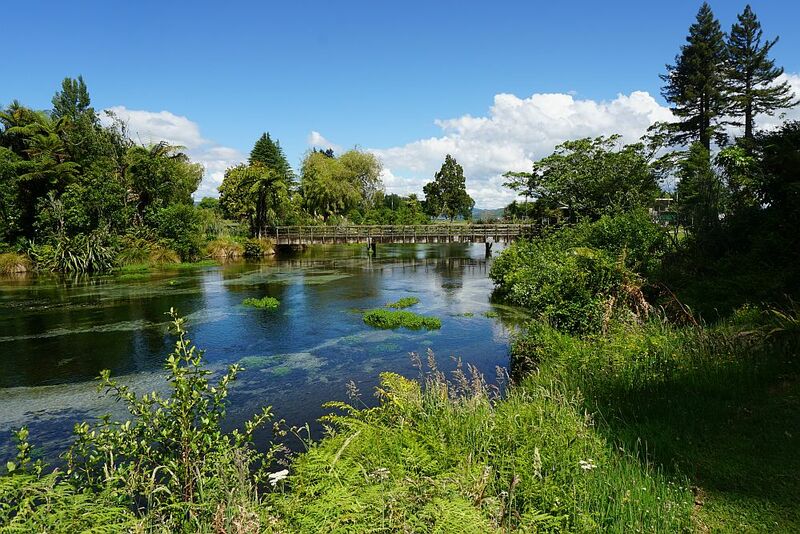 The fence runs alongside Hamurana Rd, and Lake Rotorua can be seen with Rotorua township in the distance. The tracks were walked on December 21, 2014, without a GPS. Updated November 26, 2017 with entry fee information. 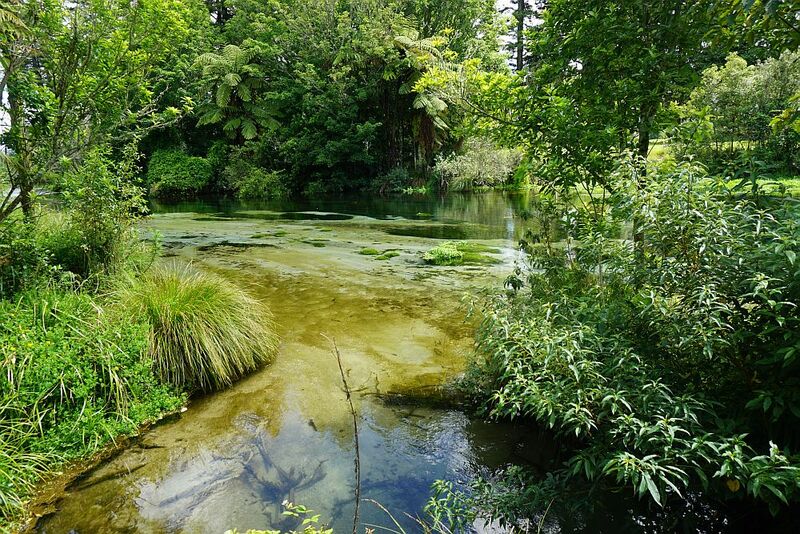 This entry was posted in Walks and tagged Hamurana, Hamurana Springs, Lake Rotorua, Rotorua on 2014-12-23 by nzartig.